The mobile operating system by the search giant Google has progressed a lot in the past some time, and now covers more than 25 percent of total mobile users worldwide. The continuous hard work of Android team has enabled this mobile operating system to hold the tag of best mobile operating system. Though Android faces tough competition from other major mobile operating systems like BlackBerry, iOS; still Android is the best. The analysts say that it is because of vast production of Android based devices from manufacturers like Samsung, HTC etc. Well, whatever is, the availability of huge no. of apps related to different categories, in the official app store of Google, the ‘Google Play’, also plays a vital role in the success of Android. You might be familiar that Android is an open source software which make the developers from different parts of world, develop apps for it. This is the reason that there are many travel apps available for Android. As the list is very big, so it is quite difficult to select the best travel app. Therefore I am here with the list of best travel apps for Android. f you keep on traveling from time to time, then you must have faced the problem of finding a hotel for your stay. This is really frustrating to search for a hotel in a city/country; we never visited before. 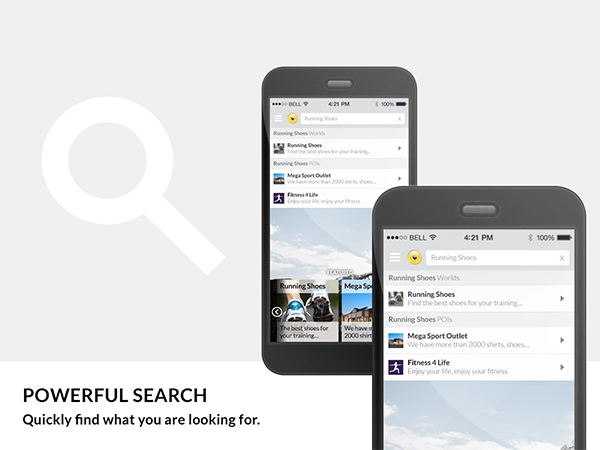 But no more frustration as this popular Android app helps you in finding hotels near you. This app makes use of your device’s GPS to track your geo-location, and then provide you the list of best hotels near you. Whenever you visit any place, you have the curiosity to know about all beautiful locations. Your Android can tell you about all. All you need to do is to use the Wikitude app. Just upload the image of any location into app, and it will come up with complete details about that particular location. This app can even track your geo-location by using the GPS feature of your Android device. Google Maps is the best solution to find the paths. This is well-renowned service, and comes from the house of search engine giant Google. You can use this app to check out the brief map of your city or any other part of world, can check out the distances, and can also get the directions. Google Maps app has just launched for iOS users and in its first two days, it has crossed the download mark of 2 million, which is quite enough to speak about the quality and need of this app for every Android user. If you are visiting any location where the language is not as of yours, and you cannot understand what people talk with you, then Google Translate is meant for you. You can convert the text written in one language into another using the Google translation service on your Android. Moreover, you can communicate with another person using speech-to-speech translation in Conversation Mode. Amazing! helpful information and very much interesting blog .Keep up good work! This blogs helped me a lot.